Carnations come in many different colors. 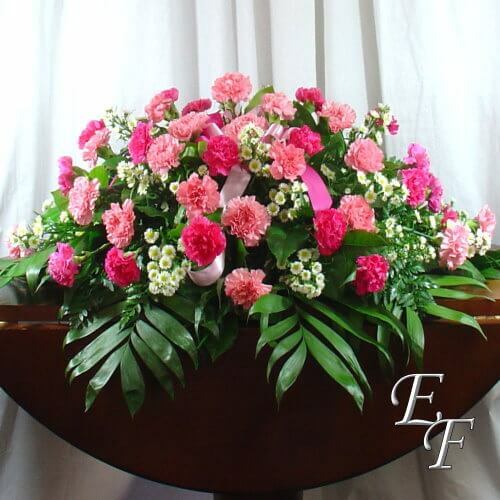 The spray pictured is a mix of light pink and hot pink carnations accented with September Flower. 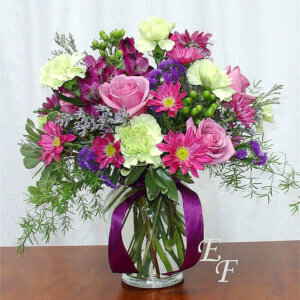 You may choose the spray as pictured, or the spray may be made in solid white, pink, or red carnations. 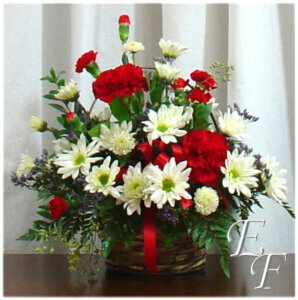 You may also select a mix of carnations in combinations of pink, white, and red. 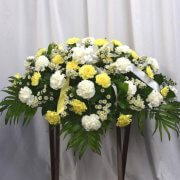 The design has a total of 50 carnations, and is designed for an open casket. 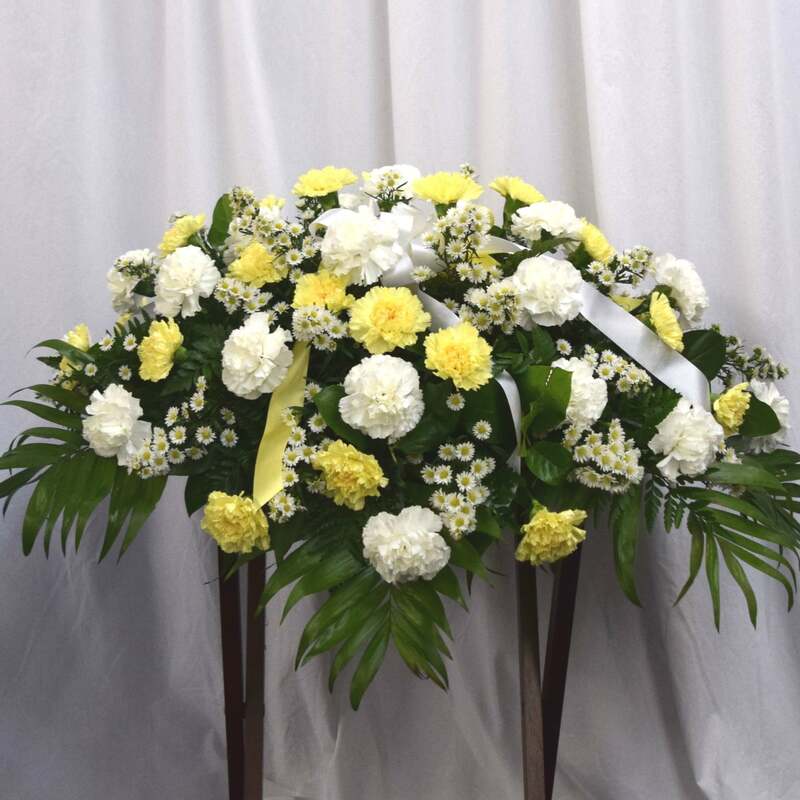 There are several options to make the spray larger, including one to make the design into a full spray appropriate for a closed casket. Script is available at no additional charge.